Will Asia Cup cricket matches affect Box Office Collections of Shaadi Ke Side Effects? 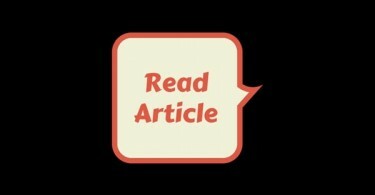 Will Asia Cup cricket matches affect Shaadi Ke Side Effects? 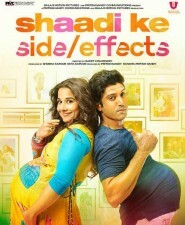 Two supremely talented actors – Farhan Akhtar and Vidya Balan – come together in Shaadi Ke Side Effects, the sequel to 2006’s hit film Pyaar Ke Side Effects. Apart from the star cast, the promos have generated enough curiosity to help the film take a good opening at multiplexes on Friday. But the ongoing Asia Cup cricket tournament, could have a significant impact on business at the box office, as two important matches are scheduled to take place on Friday and Sunday. On Friday, the day Shaadi Ke Side Effects releases, India is scheduled to play Sri Lanka and the biggest match of the tournament – India vs Pakistan – will be played on Sunday. Both days are extremely crucial for the Saket Chaudhary directed film, if it has to put up a good total over the weekend at the box office. We asked a few industry insiders and trade guys on their opening day expectations from Shaadi Ke Side Effects. Most expect the first day business to be around the 5 – 6 crore mark. Collections on Saturday and Sunday will then depend on how well the film is received. Since both the cricket matches start at 1:30 PM and end at around 9:30 PM Indian Standard Time, it remains to be seen what sort of impact the cricket matches have on the opening weekend. Will the Asia Cup cricket matches against Sri Lanka and Pakistan affect the box office collections of Shaadi Ke Side Effects? Tell us! I don’t think Asia Cup will have any effect …. ind-pak match will definitely have impact.not much sure about ind-sl match. forget this one this year post ipl benefit wont be there becoz ipl shifted 2 south africa aamir saab pity on akki holiday heading 65-80 crore mark! Not much on Friday but definite loss of atleast 1-2 crores on Sunday when India plays Pak !!!!! till now this year is not going good for bollywood. HNY will be disaster for sure. Only Sunday’s collections will be affected due to India-Pakistan match. Not much loss in long term. yep!India vs Pakistan match would affect the film bcZ the match is important and entertaining!so Indians busy on Sunday fire match! !